The magazine's precarious position comes after its lead has been looking for a buyer for months, people told CNN. People stated that The Weekly Standard's leadership had clashed with MediaDC, the magazine's current publisher, and that the two parties had agreed to allow Hayes to seek a new owner. Recently, however, MediaDC informed the leadership of The Weekly Standard that the company was no longer interested in selling. Instead, Ryan McKibben, the chairman of MediaDC, asked for a meeting with Hayes for late next week, the people said. McKibben also called for the entire staff of The Weekly Standard to be made available after the meeting. Along with MediaDC's announcement on Monday that its other conservative news organization, The Washington Examiner, would expand its journal into a magazine weekly publication, The Weekly Standard left the concern about the future of the magazine. One of the individuals familiar with the matter said CNN that the Washington Examiner is expanding at the expense of The Weekly Standard. The Person's View "You're expanding the Pro Trump magazine, which does what the owners want, and threatening to close an independent magazine that has its own history and identity." The magazine's employees are facing the worst, several people familiar with the matter, said CNN. MediaDC spokesman Alex Rosenwald said in a phone call to CNN Tuesday morning that he knew nothing about The Weekly Standard Situation. Rosenwald said he just focused on marketing the recently announced Washington Examiner Magazine. Rosenwald did not respond to an e-mail or phone call on Tuesday afternoon asking for a comment after CNN received calls from Hayes & # 39; s employees. However, after this story was originally published, a spokesman for Clarity Media Group, Inc., was the parent company of MediaDC issued a statement to CNN. "It is no secret that news organizations in the US are dealing with a developing business landscape," the statement said. 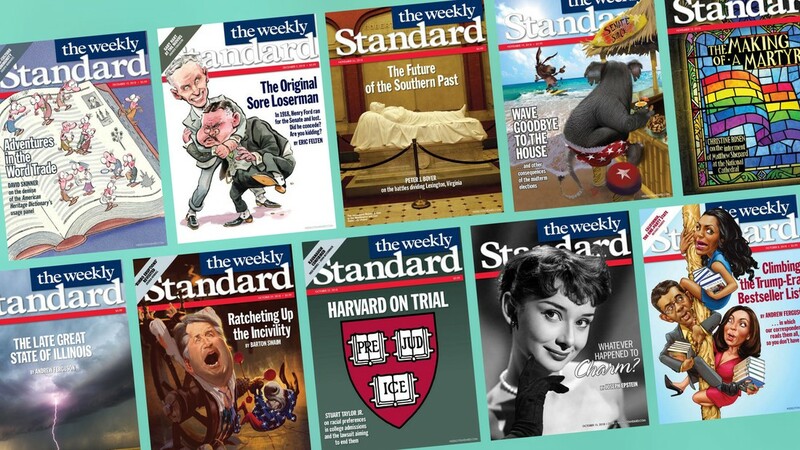 "The Weekly Standard addresses the same issues, and Clarity Media has reviewed a number of options for the future of The Weekly Standard, at which time Clarity has no information about its evaluation process." Hayes did not reply to emails on Monday and Tuesday asking for comments. 995 by Bill Kristol and Fred Barnes. The presidency of George W. Bush was widely believed to be consistent with the administration and larger forces of neoconservatism. Under Hayes' leadership, The Weekly Standard remained unperturbed in its criticism of Trump. Trump supporters voted for The Weekly Standard, and its influence in Republican circles has diminished. But while the influence of The Weekly Standard on Republican politics has diminished, web traffic has increased, say the people who are familiar with the data. The magazine has also been praised for some of his recent work. For example, in November, the magazine published an audio file of Republican Congressman Steve King, who told participants at an Iowa election campaign that "there is a lot of filth," from Mexico, apparently referring to the Mexicans themselves. Brian Stelter of CNN contributed reporting.